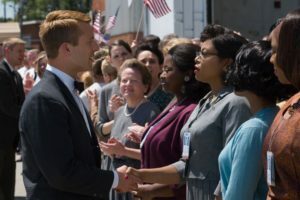 For Hidden Figures – about a team of African American women who “compute” the math data for NASA’s fi rst space missions – costume designer Renee Ehrlich Kalfus, had the opportunity to design for characters based upon three extraordinary women, Katherine Johnson (Taraji P. Henson), Dorothy Vaughan (Octavia Spencer) and Mary Jackson (Janelle Monáe). Costumes act as “windows” that help the actor in their character development. Costumes also inform the audience as to who a character is from the moment that character first appears on screen. According to Ehrlich Kalfus, when a costume feels right the actor knows it. She works with the talent during pre-production, early in the design process. For the film, she traveled to Chicago where Henson was working on the television show, Empire. The actress commented that she was excited to be shedding the hair, nails and make-up of her current character Cookie and sink into the role of Katherine. “I brought her sketches, the ideas that I wanted to do. And I brought her most importantly sewing patterns because it turns out that Katherine in real life was not only a genius and raising two children, she made her own clothes,” shared Ehrlich Kalfus. That period in the early 60’s was a very specific, conservative era in terms of dress. The women wore girdles, stockings and pointy bras. They had a work “uniform” that started with the undergarments. 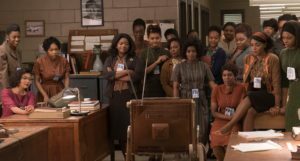 With a historical film, the costumes take the actors back in time, in the case of Hidden Figures, to the segregated south. The palette for the film was very disciplined in terms of the storytelling. The men were all in white shirts, skinny ties and grey suits. In contrast, the women had a warmer palette. 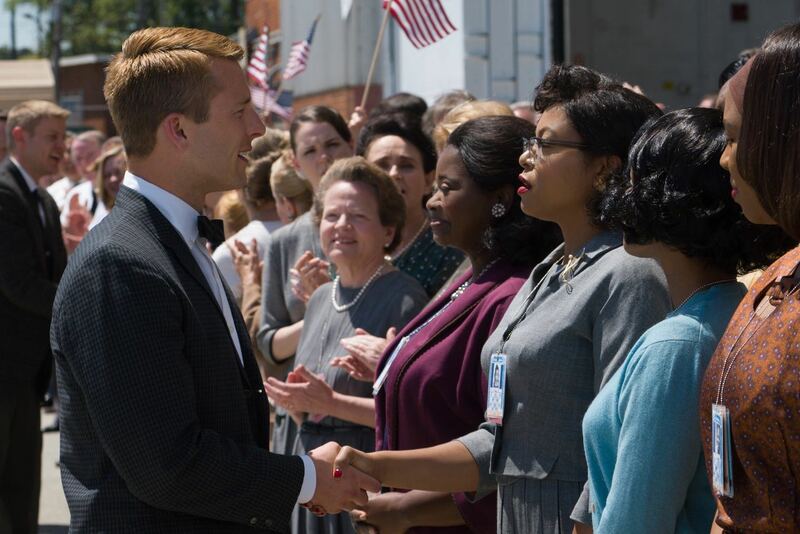 They were in a totally different place at NASA, divided by race.